In the aftermath of the collapse or declining support for recent socialist unity projects in Scotland, England and Wales, and Ireland, there have been renewed discussions throughout these islands about the possibilities of achieving socialist unity. The negative role of organisations like the Socialist Party and Socialist Workers Party in the Socialist Alliance, Respect, the Campaign for a New Workers Party, Trade Union and Socialist Coalition, Scottish Socialist Party and the United Left Alliance (Ireland) have figured prominently in these discussions. However, one of the shared features of the Socialist Party and SWP has been to confine their wider united political alliances within social democratic political limits. The Socialist Party, whilst being prepared to use the term ‘socialist’ in its favoured wider political alliances, views its ‘socialism’ as being based on the creation of a Broad Left-led trade union based, Labour Party Mark 2. This is very much a social democratic view, albeit dressed up as ‘socialism’. Where the SWP has more influence, it rejects the use of the term ‘socialist’ altogether, e.g. ‘People Before Profit’, an openly social democratic conception. Now that we have a Tory government, social democratic nostalgia has gained even wider traction. Danny Boyle took us on a social democratic trip down memory lane, in his Isles of Wonder. 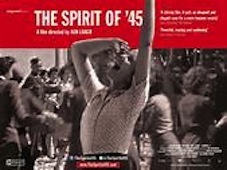 Ken Loach’s recent film, The Spirit of ’45, draws upon a lefter version of this social democratic nostalgia. However, the The Spirit of ’45 does not even mention Blair and New Labour’s part in dismantling this social democratic legacy. Other sections of the Left, including those who have made, or are in the process of making a break with the SWP and SP, have been drawn into the social democratic slipstream. Many argue, in effect, for social democracy today, socialism tomorrow. The RCN has been involved in these debates in Scotland, and has argued against the notion of a social democratic road to socialism.